The well-known Manor House gardens at Whalton were originally designed by Gertrude Jekyll and Lutyens, and the East Wing has its own secluded garden within them. Druridge Bay's long sweep of golden beach is 30 minutes' drive, as are the beautiful Alnwick Gardens and the Roman Hadrian's Wall. The house is also within easy touring distance to the National Park, the Cheviots and the Scottish borders. 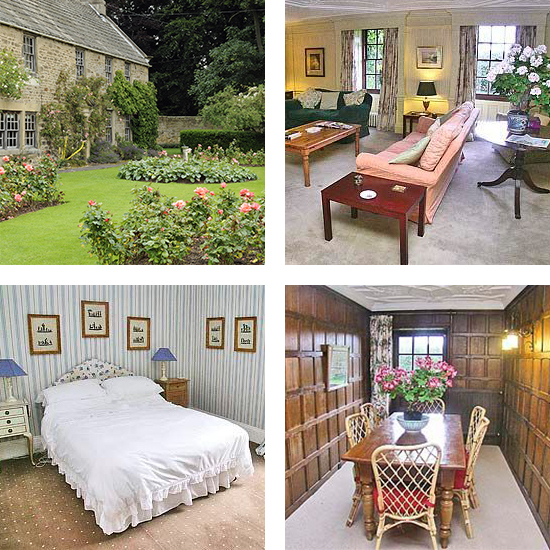 Whalton Manor is located 5 miles from Morpeth, 17 Miles from Newcastle upon Tyne and is in the heart of Northumberland. There is also a pub in the village. The East Wing features a large sitting-room with open fire and archway through to a separate room with full-size billiard table (not to be used by children under twelve). The kitchen is oak-panelled with island units and opens to an oak-panelled dining area. The first floor includes a large twin-bedded room with en-suite bathroom, double bedroom, twin-bedded room and bathroom/WC. Please contact us for more information or book online.